The expansion includes a major upgrade to NGC's free online variety attribution resource, which is now optimized for smartphones and tablets. Numismatic Guaranty Corporation® (NGC®) has announced that it has expanded its popular VarietyPlus® variety attribution service to world coins, effective March 1, 2018. NGC launched VarietyPlus in 1996 to provide accurate attribution services for US coin varieties. A variety is a coin that is distinguished by characteristics specific to the dies that struck it. Many varieties are highly collectible and can sell for multiples of other coins with the same date and mintmark combination. 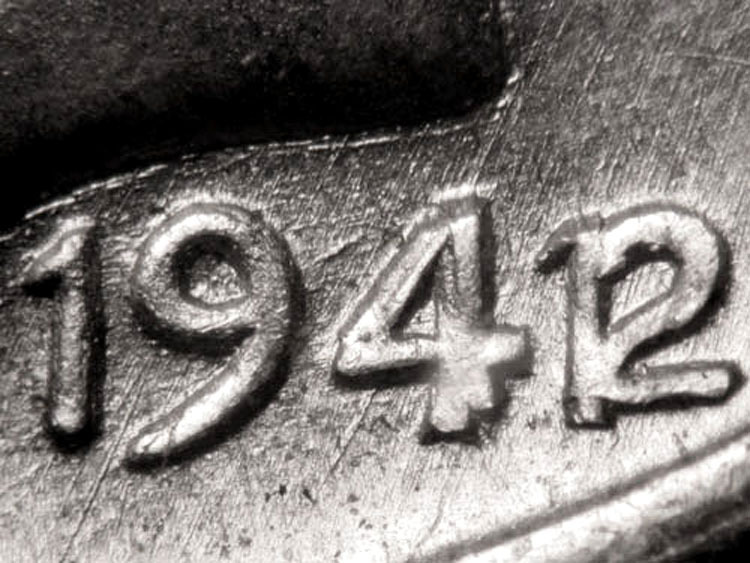 For example, the price for a 1942/1 Mercury Dime, a variety where the 2 in the date is punched over a 1, can be several hundred times more than the price for a 1942 Mercury Dime without the overdate. Varieties include overdates and over-mintmarks, repunched dates and repunched mintmarks, doubled dies and coins with other distinctive die-specific features. Many varieties have been extensively studied and cataloged in specialized reference books. Ambitious collectors might seek to obtain not just one example of each date issued, but one example of each known variety. For example, collectors of Early American Large Cents often try to collect one example of each Sheldon variety—varieties that were originally cataloged by Dr. William Sheldon. NGC attributes varieties that it considers to be significant and widely collected under its VarietyPlus program. More than 10,000 varieties are now attributed by NGC, all of them listed in its online resource located at NGCcoin.com/VarietyPlus. This resource has been recently updated to be easier to search and use on smartphone and tablets. Certain variety attributions are performed by NGC automatically for no additional charge, while others require a request and an additional $15 fee. Visit NGCcoin.com/VarietyPlus prior to submitting to confirm whether your coin is an eligible variety and, if so, whether it requires a request and an additional $15 fee. "NGC's VarietyPlus program provides collectors and dealers with a more nuanced coin description that can often add interest and value," says Rick Montgomery, NGC President. "The expansion to world coins supports NGC's position as the market leader in world coin certification services." If your coin is a variety recognized by NGC on request, select the "VarietyPlus" add-on service on the NGC Submission Form and check the "VarietyPlus" box next to the appropriate coin. If you know the coin's variety, you can enter it in the space provided, but that is not required. In all cases, NGC will verify the attribution and, if the variety is recognized by NGC, print the attribution on the NGC certification label. If your coin is a variety that is not currently recognized by NGC, you can send high resolution images of it to NGC Customer Service at [email protected] to find out whether it might be eligible in the future. Determination of recognized varieties and the appropriate attribution is at NGC's sole discretion. NGC expects many more world coin varieties will be added to its VarietyPlus program and online resource over time.